Brandon Dassey, one of two men convicted of murder and featured in the Netflix docu-series Making a Murderer, made headlines again when the Seventh Circuit Court of Appeals upheld an August 2016 federal magistrate judge’s ruling regarding Dassey’s confession. The three-judge panel found that the confession of Brendan Dassey, the nephew of Steven Avery, was coerced and involuntary. Prosecutors must now decide whether to appeal to the Supreme Court of the United States, request review by the full Seventh Circuit, or retry Brendan Dassey within 90 days. Making a Murderer, released in 2015, was filmed over a ten-year period, following Steven Avery’s trials and tribulations as he went from prison, to DNA exoneration, to prison again. The series specifically focuses on Avery’s and Dassey’s convictions for the murder of Teresa Halbach. Specifically, in episode four, the series documents how investigators brought high-school sophomore Brandon Dassey, who has an IQ between 74 and 81, in for questioning without a parent or guardian. The investigators then proceeded to various interrogation tactics that ultimately led to Dassey giving a confession. In its ruling, the Seventh Circuit pointed out how the investigators would chastise Dassey when he failed to answer questions in a way that investigators would like. The Court’s decision discussed assurances made by investigators that they would not leave Dassey “high and dry” and discussed how Dassey’s account of the murder began to change throughout his interrogations. According to the Court, his own responsibility in the murder seemed to increase in response to the suggestions made by investigators. The Court noted that “special caution” is required under the Supreme Court’s ruling in J.D.B. v. North Carolina when assessing the voluntariness of juvenile confessions. The State of Wisconsin never evaluated any of the factors such as age, experience, education, background, and intelligence. Dassey is now 27 years old and serving a life sentence. 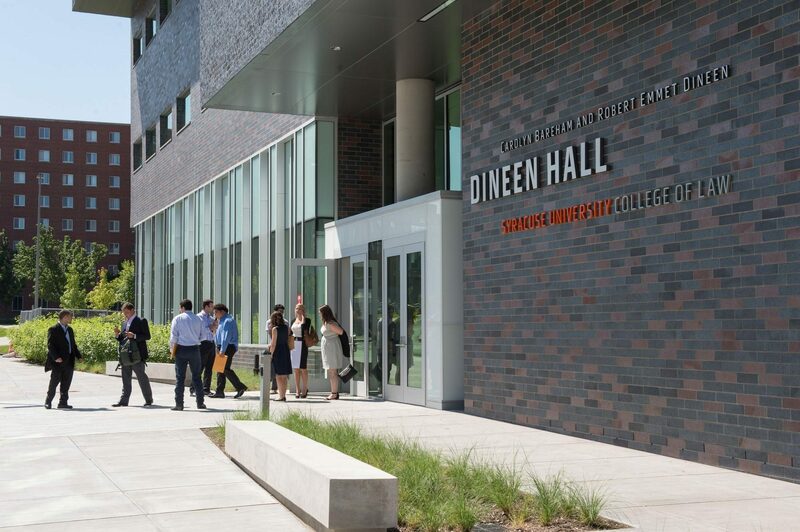 He is represented by The Center on Wrongful Convictions at Northwestern University. The Wisconsin Department of Justice reportedly plans to either request a review by the entire Seventh Circuit or to petition the Supreme Court. Kristine Phillips, ‘Making a Murderer’ Confession was Coerced and ‘Crafted by Investigators,’ Court Affirms, Wash. Post (June 23, 2017). Dassey v. Dittmann, No. 16-3397, 2017 U.S. App. LEXIS 11113, at *38-39 (7th Cir. June 22, 2017). J.D.B. v. North Carolina, 564 U.S. 261, 269 (2011). Increasing the Scope of Legal Responsibility: Can Words Kill? In a rare legal ruling, a Massachusetts judge found Michelle Carter, 20, guilty of involuntary manslaughter. Carter was accused of encouraging her boyfriend, Conrad Roy, to commit suicide. Unlike many other states, Massachusetts has no law against encouraging someone to commit suicide. However, the Court still found Carter guilty of involuntary manslaughter. Carter now faces up to 20 years in prison. At the time, the two were teenagers who both struggled with mental illnesses. Earlier on in their relationship, Carter encouraged Roy to seek help for his troubles. Eventually, however, the conversations turned to Carter’s persistent pressuring of Roy to commit suicide. Leading up to Roy’s death, text messages from Carter to Roy show her urging him to act upon his suicidal thoughts. All in all, one burning question looms: whether this case will be die out as a rare decision, or whether it will set off a path of precedents that expand the boundaries of criminal laws at the expense — or question — of constitutional protections. 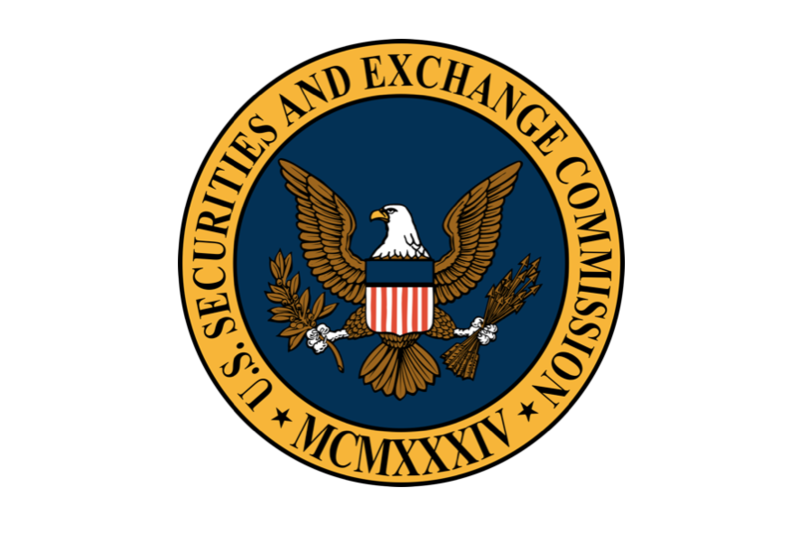 In 2009, the Securities and Exchange Commission (SEC) commenced an action against Charles Kokesh for violating federal securities laws by misappropriating funds. After a jury found Kokesh had violated the federal securities laws, the District Court addressed the damages the SEC demanded. Under 28 U.S.C. § 2462, there is a five-year statute of limitations that precludes civil monetary damages from being enforced. Holding that SEC disgorgement damages were not subject to 28 U.S.C. § 2462, the District Court entered a disgorgement judgment of $34.9 million against Kokesh. The Tenth Circuit affirmed. The Supreme Court granted certiorari to determine whether 28 U.S.C. § 2462 applies to SEC disgorgement damages. In resolving whether SEC disgorgement damages are subject to 28 U.S.C. § 2462, the Court considered the definition of “penalty.” The Court defined a penalty as a punishment imposed and enforced by the State, for a crime or offense against its laws. Accordingly, this definition establishes two factors that are determinative as to what constitutes a penalty. The first factor as to whether a pecuniary damage is a penalty is whether the wrong being addressed is a wrong against the public, as opposed to a wrong against a private citizen. The second factor is whether the pecuniary damages are sought to penalize and serve as a deterrent, as opposed to compensating a victim. With these factors guiding its analysis, the Court addressed whether the $34.9 million disgorgement judgment against Kokesh was a penalty and subject to 28 U.S.C. § 2462. First, the Court noted that the lower court’s judgment was imposed for violating public laws. Essentially, disgorgement judgments provide a remedy to the United States, not aggrieved individuals. Moreover, after these judgments are paid, the courts have discretion in how these funds are distributed. Second, the Court noted that disgorgement judgments are intended to put others on notice by serving as a deterrent. Accordingly, the Court held that SEC disgorgement damages are a penalty and are subject to 28 U.S.C. § 2462. Thus, SEC disgorgement judgments must comply with the five-year statute of limitations. The $34.9 million disgorgement judgment against Kokesh was reduced to comply with the five-year statute of limitations enumerated in 28 U.S.C. § 2462. Kokesh v. SEC, 580 U. S. ____ (2017). Trump’s Travel Ban: What comes next? On January 27, 2017, President Donald J. Trump issued Executive Order No. 13769, commonly known as the “travel ban.” When the Ninth Circuit blocked it, President Trump issued a “revised travel ban”on March 6, 2017 via Executive Order No. 13780. The Department of Justice has appealed the blocking of the orders to the Supreme Court, and the question as to whether or not the Court will act remains. The revised order reworked provisions of the first travel ban that were at issue in the Ninth Circuit. Specifically, Section 2(c) of the order temporarily suspends new visas for citizens of six countries: Iran, Libya, Somalia, Sudan, Syria, and Yemen. The ban’s stated purpose was to decrease the risk of terrorist organizations from entering into the United States. Consequently, the order explained that the six listed countries had been “significantly compromised by terrorist organizations, or contain active conflict zones.” While such a purpose may appear clear on its face, a key question in evaluating this ban has been whether it violates the Establishment Clause of the First Amendment of the Constitution. The Establishment Clause prohibits the government from making any law “respecting an establishment of religion.” Essentially, this means that the government cannot establish an official religion of the United States or pass any laws that favor or inhibit a particular religion. The primary Establishment Clause test utilized by courts today is derived from Lemon v. Kurtzman, and the rest requires that courts analyze a government action’s purpose, effect, and entanglement with religion. If a court finds the government acted with a primary religious purpose, had the effect of advancing or inhibiting religion, or was sufficiently entangled with religion, it will strike the law down as unconstitutional in violation of the Establishment Clause. Under this Lemon test, a challenger needs to show only one of the three prongs to succeed. Here, six Muslim individuals, and three organizations that represented Muslim clients, asserted that they would be harmed by the implementation of the revised travel ban. In turn, they filed a lawsuit in the United States District Court of Maryland seeking a preliminary injunction. The District Court granted the injunction and determined that the plaintiffs were likely to succeed on the merits of an Establishment Clause claim. After the ruling was appealed, the Fourth Circuit upheld the Maryland District Court’s decision to block the revised travel ban on May 25, 2017, finding the ban to be in violation of the Establishment Clause. In its analysis, the Fourth Circuit employed the Lemon test and viewed extrinsic evidence on the record from the viewpoint of a reasonable observer to determine that the revised travel ban had a primary religious purpose. One question that arose revolved around whether or not courts should be permitted to consider extrinsic evidence when assessing the purpose. In the Lemon test analysis, a court determines not only the government’s stated purpose, but also the purpose from a reasonable observer’s standpoint. Thus, in analyzing the purpose from the standpoint of a reasonable observer, it is proper for a court to take extrinsic evidence surrounding the implementation of a government action into account, just as the Fourth Circuit did in this case. However, in an age where society is constantly bombarded with information through countless avenues of communication, it is worth asking how much extrinsic evidence a court should take into consideration when attempting to determine the primary purpose of a governmental action. Furthermore, in this case, the Fourth Circuit held that the District Court’s use of such extrinsic evidence, in holding that the order was a violation, was proper to show a primary religious purpose disguised in terms of national security to circumvent Establishment Clause scrutiny. Accordingly, the Fourth Circuit concluded that President Trump’s statements revealed his “desire to exclude Muslims from the United States” in violation of the Establishment Clause. On June 1, 2017, the Department of Justice filed a petition with the Supreme Court, seeking review of the Fourth Circuit’s decision. Whether or not the Supreme Court will hear the case remains to be seen. Some experts argue that the court will likely grant certiorari and hear the appeal, saying that “[w]hen a major presidential initiative is ruled unconstitutional by a federal appeals court, a review by the Supreme Court almost always follows.” On the other hand, rulings in the Hawaii District Court, Maryland District Court, Washington District Court, Fourth Circuit, and Ninth Circuit have remained consistent, blocking both the travel ban and the revised travel ban. With consistent interpretation and no circuit splits, some experts argue that there is no reason for the Supreme Court to hear the case. Only time will tell. Adam Liptak, The Supreme Court’s Options in the Travel Ban Case, NY Times (Jun. 2, 2017). Int’l Refugee Assistance Project v. Trump, 2017 WL 2273306 (4th Cir. 2017). Ryan Lovelace, Will the Supreme Court Take up Trump’s Travel Ban?, Washington Examiner (Jun. 3, 2017). Int’l Refugee Assistance Project v. Trump, 2017 WL 1018235 (D. Md. 2017). On Monday, May 15, 2017, Joshua Vallum became the first individual to be prosecuted and sentenced for a federal hate crime after the murder of his ex-girlfriend, Mercedes Williamson. Vallum pled guilty to Williamson’s murder on December 21, 2015. In his plea, he stated that, despite earlier statements to the police indicating his unawareness of Williamson’s gender identity, he ultimately killed Williamson because she identified as transgender. Typically, prosecutions for hate crimes are handled by individual states, as opposed to the federal government. However, the state of Mississippi, where the crime took place, does not have a statute protecting individuals from hate crimes based on their gender identity. Therefore, the government brought federal charges against Vallum under a federal hate crime statute: the Matthew Shepard and James Byrd Jr. Hate Crimes Prevention Act of 2009. Section (a)(2) of the statute criminalizes behavior in which an individual commits or attempts to commit violent acts against another when motivated by certain characteristics of the victim (i.e., actual or perceived religion, national origin, gender, sexual orientation, gender identity, or disability). Because Congress passed section (a)(2) of the Act under its Commerce Clause power, the government must establish that the alleged hate crime occurred in or affected interstate or foreign commerce. Here, the government alleged that Vallum murdered Williamson based on her actual or perceived gender identity. Although previously in a relationship, Vallum and Williamson broke up in 2014. Prosecutors in the case alleged that Vallum knew that Williamson identified as a transgender female during the course of their relationship. On May 28, 2015, Vallum allegedly murdered Williamson after his friend discovered that Williamson identified as transgender. The government alleged that Vallum persuaded Williamson to enter his car at her home in Alabama, drove her to Mississippi, assaulted, and ultimately stabbed her. Prosecutors believe that, despite already knowing Williamson’s gender identity, Vallum murdered Williamson due to fear of retribution from other members of his gang, the Almighty Latin Kings and Queens Nation. Vallum allegedly believed that his own life was in danger because other gang members knew about his sexual relationship with a transgender individual. Vallum was sentenced to 49 years in prison and a $20,000 fine in the Southern District of Mississippi. The charges against Vallum and the sentence imposed drew mixed reactions from various civil rights groups across the country. Some groups approved of the government’s commitment to protect individuals against discrimination based on gender identity. Others acknowledged the problems associated with enhanced-sentencing statutes, stating that these laws do not protect against or prevent hate crimes, as they only punish perpetrators after the crimes are committed. Nevertheless, as hate crimes continue to be committed across the country, it is likely that this will not be the last invocation of the Matthew Shepard and James Byrd Jr. Hate Crimes Prevention Act. Emanuella Grinberg, Transgender Hate Crime Guilty Plea in Federal Court is a First, CNN (Dec. 23, 2016, 6:24 AM), http://www.cnn.com/2016/12/22/politics/mississippi-transgender-hate-crime/index.html. Ralph Ellis, Emanuella Grinberg, & Janet DiGiacomo, Mississippi Man Sentenced for Hate Crime Killing of Transgender Woman, CNN (May 16, 2017, 6:39 AM), http://www.cnn.com/2017/05/15/us/transgender-hate-crime-murder-sentence-mississippi/. Anti-Defamation League, Hate Crime Laws – The ADL Approach 4 (2012), https://www.adl.org/sites/default/files/documents/assets/pdf/combating-hate/Hate-Crimes-Law-The-ADL-Approach.pdf. The Matthew Shepard and James Byrd Jr. Hate Crimes Prevention Act of 2009, U.S. Dep’t of Just., https://www.justice.gov/crt/matthew-shepard-and-james-byrd-jr-hate-crimes-prevention-act-2009-0 (last updated Aug. 6, 2015). The Matthew Shepard and James Byrd Jr. 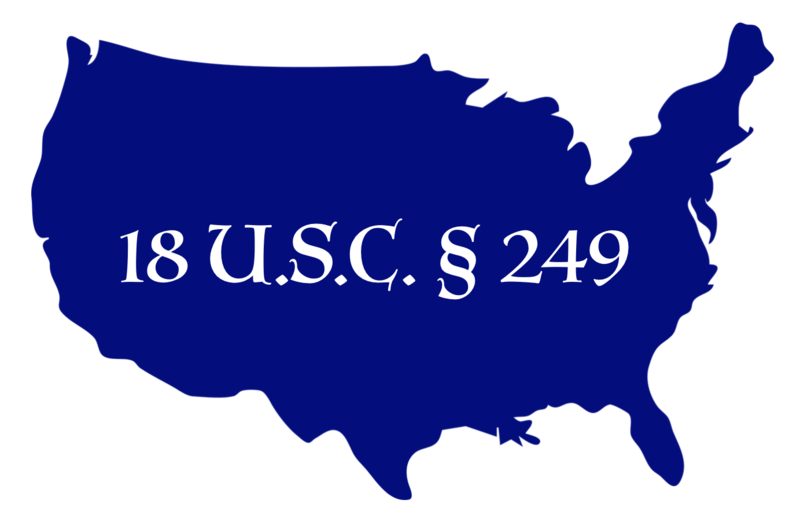 Hate Crimes Prevention Act, 18 U.S.C. § 249 (2012). Autumn Callan, Mississippi Man Sentenced in First US Transgender Hate Crime Conviction, Jurist (May 16, 2017, 3:38 PM), http://www.jurist.org/paperchase/2017/05/mississipi-man-sentenced-in-first-us-transgender-hate-crime-conviction.php.